Your computer’s security is not negotiable if you value the information stored in your computer. If your computer isn’t safe, your information is in jeopardy, and the system itself could be open to ruin. There are quite a number of security programs available for the protection of computers against spyware, malware, worms, and viruses. Below are a few of the top security programs of 2012 and a quick review of each. This security program does not disappoint as it is quick to install, quick to run, and effective in the detection of threats. The installation of Kaspersky 2012 is quick just like its predecessors and other internet programs from Kaspersky. The program first scans for the presence of any conflicting programs in the computer, and if there are none, the installation commences. The program then requires a download of database update, and with a fast internet connection, this should not take long. Kaspersky Antivirus 2012 is not as feature-packed as their internet security program, but it sure has a lot for the type of program it is. The layout used is impressive and incredibly easy to use, helping to make it a good choice for many users. Panda is another effective security program and with an inclusion of a firewall, a wide range of features, and the ability to run on old computers. The installation of this program is rather fast and straightforward. After the installation, the program’s interface will appear in white text and black background. This is not a great interface, but most people do not have an issue with it. You will need to install the relevant updates so as to enjoy the different features the program has to offer. Security programs are simply that and if you want more features, you should think about purchasing the internet security versions. This program however offers more than most programs as it has a firewall, anti-spam, parental control, and Panda Safe browser. It also has Panda USB Vaccine which disables auto-run on any USB devices. This program is fast with a full scan taking about 20 minutes depending on your PC, and quick scans take seconds. This security program is easy to use, has fast installation, and a good detection rate. The process of downloading the installer is an affair that takes only a few minutes. When the installation process starts, the actual process only takes a short time. The program keeps everything simple, and this is something those who are not computer experts will appreciate. Though it is without the many features found in other 2012 security programs, the Trend Micro Titanium Antivirus Plus has all the minimums you need. This program is effective and satisfies the basic requirements of a security program. BitDefender Antivirus Plus 2012 scores very well in protection tests, is easy for novices to use, and offers a rather strong identity theft protection. Installing the program will take quite longer as compared to other security programs in 2012, but this is basically because this program offers more features than most of these other security programs. The slow installation is also because the program will scan your computer as part of the installation process; there will, therefore, be no need to scan after the program installs. 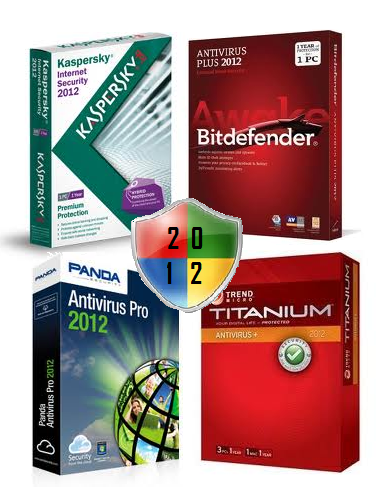 BitDefender Antivirus Plus 2012 has some of the features you will only see in more expensive programs. The program is quite effective and requires minimum efforts from the user in maintenance and PC security. This makes it a very good choice for many users looking for great value. An article is written by Kate Willer who likes social networks, google android, malware guide and psychology. If you'd like to guest post for US check out our Write for Us page for details about how YOU can share your knowledge with our online community. ALL the information in your blog is enough to get the security for any ones computer.But AVG internet security 2012 and Avast internet security are also provides the best protection for users computer.And also helps in removing all malwares, worms, spy ware and even protects from the hackers too,by providing full protection. These antivirus programs are really useful, but I am using avast right now. For me this is the most reliable anti-virus program. But the only problem with this is that it automatically deletes the detected files without giving any warning. I prefer to use Avast! It is really good security program! I looked for tests. Kaspersky is not so good. Original antivirus is like a basic need now. And, I'm using Quick heal to protect my system. I use AVG antivirus, it is free and works great for me. It do not use lots of resources so my computer is working fast and I had no problems with viruses or malware or anything. I prefer to use Avast Anti virus. It is a really great security program! i found the info on Panda Antivirus Pro vary helpful. i will be looking into that one more. Great Post ! I like the awesome blog and i am inspired to start my Blogging as you after visiting you blog site. This a Awesome Blog to me. There are many types of computer virus. I use Endpoint Symantex Protection and my computer is in good condition since I use it. You know what. Im using AVG for 10 years alredy - free version, and never had an issue. This is wonderful. I am not quite familiar with the internet, but I beleive that what I just read is some good material. Thanks for continuing to write such wonderful articles. God bless. All of mentioned products are undoubtedly top quality and well-known. Anyway it's a matter of personal likings, too, and I think Avira could deserve to be inserted in this list, too, as lots of other products. Some studies mention GData, for instance, not mentioned here. Anyway the first antivirus software is user's paranoia. Heads up and check out all you download from the web! A great article for sharing. There is a lot of product antivirus. They all good and the choice is yours. Thanks again admin, sharing is caring! Nice post.Thank you for sharing some good things!! Thanks for providing this useful knowledge. This is actually what I was surfing for. And now, It's 2013. So, let's see what all changes we will see as compared to last year and personally, I like kaspersky more.